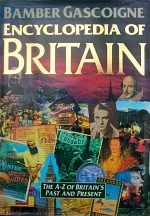 Britain's main contribution to legend. It is possible that Arthur had a historical origin, as a leader of the *Britons against the advancing *Anglo-Saxons in the early 6C, but he is first mentioned in this role by the chronicler Nennius in the 9C (the gap is equivalent to a first mention of Oliver Cromwell today). It was in Wales that stories about Arthur began to proliferate and they were brought together in the 12C by *Geoffrey of Monmouth. In his version Arthur was born at *Tintagel and is the son of Uther Pendragon, king of the Britons, and of his Cornish wife Igraine; he has mounted knights as his followers; he already has his sword, *Excalibur, and his faithful friend Gawain; mortally wounded fighting against his treacherous nephew Mordred, he is borne away to the island of *Avalon. The success of Geoffrey's account carried Arthur's fame abroad, and it was writers in France in the following decades who completed his transformation into a hero of courtly romance; Wace, a Norman cleric, added the detail of the *Round Table, while Chrétien de Troyes introduced Lancelot and his love for Guinevere, together with the entire theme of the *Holy Grail. It was from these many sources that Malory compiled his *Morte d'Arthur, the version in which the stories have been widely known ever since. There are several competing candidates for the site of Arthur's supposed capital, *Camelot.